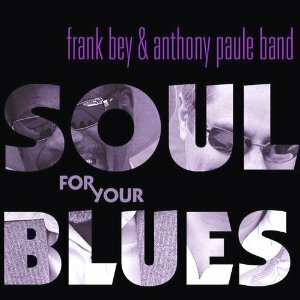 I just received the newest release, Soul For Your Blues, by Frank Bey & Anthony Paule Band and a not only clever but appropriate name. Opening with I Don't Know Why, a smokin' soul track featuring great heartfelt vocals from Bey and great horn backing from Mike Rinta (trombone and tuba), Nancy Wright (sax) and Steffen Kuehn on trumpet. I'm Leavin' You maintains the sould feel but crosses over closer to the blues with a solid bottom by Paul Olguin (bass) and Paul Revelli (drums). Anthony Paule lays out some really hot guitar riffs on this track again with backing from the dynamo horn section. I Just Can't Go On, written by Christine Vitale, has a really solid soul feel and conjures images of Bey's earlier employer, Otis Redding, who died 45 years to the day of the completion of these recordings. Paule steps up with a nice guitar guitar solo on this track which isn't overpowering but pinpoint on. Super job by all. Don't Mess With The Monkey is a high stepping R&B style track and one of the most memorable tracks on the release with it's catchy melody and hook. 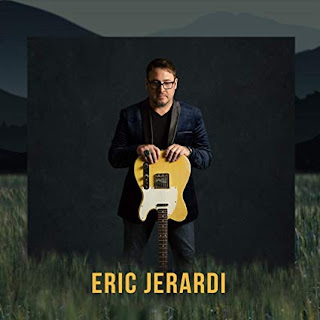 Rick Estrin adds cool harp riffs to this already fun track. Buzzard Luck has a real old style club blues swing feel. One of the best tracks to feature Bey's vocal smoothness, also features a different side of Paule on guitar. Real nice. On straight up blues ballad, You're Someone Else's Baby Too, the band really gets a strong groove on, with Bey leading belting out the lead. The warmth of the horns on this track is really super and Paule plays some particularly articulate and melodic guitar lead on this track. I Want To Change Your Mind is another strong R&B track again with Bey leading strong and with rich backing vocals from Lisa Leuscher, Larry Batiste and Ron E. Beck. 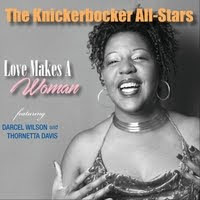 BB King like blues riffs flow from Paule's fingers adding a nice blues touch to the mix. Instrumental track Smokehouse lets the band get into a New Orleans style blues jam. A really hot trombone solo from Mike Rinta, cool key work from Tony Lufrano and trumpet work from Kuehn are great adds to Paule's lead guitar work. On Percy Mayfield's Nothing Stay's The Same Forever, Rinta plays the lead intro on tuba, something I rarely hear and it's cool, with Bey following closely on vocal. Turning with a funky beat, this is a strong track on every facet. The band is well mixed with just dabs of sound from each member. This is a great track! 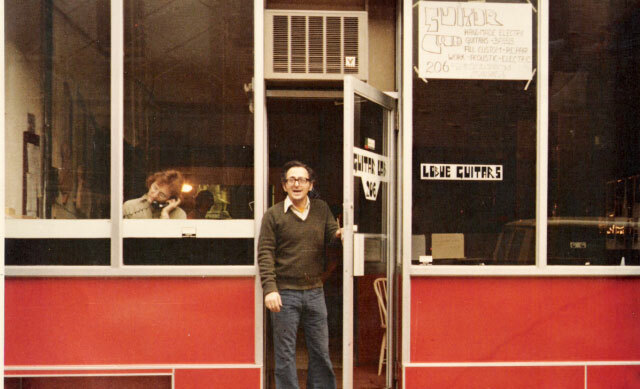 Wrapping the release is a swinging instrumental version of I Left My Heart In San Francisco. Paule pulls out all the stops leading the way with clean guitar lead. The horns keep the track full and Revelli on drums make this track rock. Yeah, I'm excited about this recording,too. I was on hand for this first part of their set in SF. Folks, it's the real damn deal with people who can actually play backing a voice that has paid the dues. Pick as many copies of this as pssible and let's get Frank Bey out here for a show he & the band deserve.